If I didn’t believe that the gospel was true, I would have no incentive whatsoever to make a defense of it. Since I do believe that the gospel is true, I do have an incentive, upon which I act, to defend it. Thus, whenever I engage in apologetic activity, I do so presupposing that the gospel is true. I would not say, however, that this makes me a presuppositional apologist. In fact, I would not say that my apologetic activity is grounded in any specifically identified apologetic method; it is grounded in scripture. Specifically, it is grounded in the prescription Peter gave to the church: “Sanctify Christ as Lord in your hearts, always being ready to make a defense to everyone who asks you to give an account for the hope that is in you, yet with gentleness and reverence.” In his prescription, Peter does not designate a specific method by which to make such a defense. Classifications of apologetic methods as designated by contemporary Christian theologians, such as classical apologetics, evidentialism, presuppositionalism, reformed epistemology, and cumulative case apologetics, were unknown to Peter and the other biblical writers. While there is a clear scriptural prescription to engage in apologetics, there is no scriptural prescription given to us by the biblical writers to use a specific apologetic method. There are certainly examples of apologetic activity in scripture that the Christian can look to for guidance. However, these examples are only descriptive. This being so, the Christian is free to employ whatever apologetic method he deems appropriate for any given situation. The only requirement is that he be ever-ready to do so with “gentleness and reverence.” My personal preference is to engage in presuppositional apologetics because this method allows me to stick closely to scripture as I contend for the faith. However, my Christian duty is to utilize that method of apologetics which is most appropriate for a specific situation. Thus, it is often the case that I engage in a variety of apologetic methods to provide a situationally appropriate defense for my hope in Christ. I liken my personal apologetic method to my behavior at the plate when playing for my church-league softball team. In any given at bat, my personal preference is to cut loose, swing-away, and see just how far I can hit the ball (hopefully over the fence). This is a low-percentage proposition as compared to trying to hit the ball the other way, using speed and bat control to get on base, or simply working the count, not swinging at all, in order to try and earn a walk (thereby frustrating the psyche of the pitcher). The game situation dictates my plate approach. No matter my approach preference for any given at-bat, it is subordinate to my preference to win the game. I cannot, in good faith, justify a swing-away plate approach to my coach and teammates when the game situation does not call for such an approach. In the same way, I cannot justify using my preferred presuppositional apologetic approach to the church and to God when the given situation calls for a different apologetic method. Therefore, the key to being justified in my choice of apologetic method lies in identifying the situationally appropriate apologetic method and utilizing it. A clear biblical example of a presuppositional apologetic would be the speech of Stephen in Acts 6-7 (though, I wouldn’t wish for myself the results that Stephen got). Stephen’s apologetic was appropriate to his audience because both he and his audience agreed that scripture was true and authoritative. Such an apologetic method would be appropriate for me to use with a Mormon, a Jehovah’s Witness, a Roman Catholic, a member of the Church of Christ, or even a Muslim. Such an apologetic would also be appropriate to use with anyone, even someone with no religious belief, who challenged the Christian hope based upon a misunderstanding of (not a historical objection to) scripture. Given that Paul wrote to Timothy that “All Scripture is inspired by God and profitable for teaching, for reproof, for correction, for training in righteousness,” it’s hard to imagine a time when a presuppositional approach is ever inappropriate. However, it should be remembered that Paul was writing Timothy in a pastoral context and not necessarily an apologetic one. Quoting scripture to an unregenerate person, especially one who already suppress God’s general revelation in unrighteousness may prove ineffective with and even aggravating to that person. This has often been my personal experience, even when showing an unbeliever where her stated beliefs align with scripture. When someone challenging the Christian faith is hostile to an apologetic that presupposes scripture, it is prudent to use a different method. When the apologetic discussion concerns the nature and historicity of Jesus, as it so often does, an evidentialist approach is wise. The evidential approach, especially Gary Habermas’ minimal facts approach, is helpful in such a situation given that there is extra-biblical evidence about the life of Jesus with which to interact. Building upon this evidence, one can develop a “poached-egg” argument for the deity of Christ. Furthermore, once the historicity of Jesus can be established, the gospel texts (scripture) can be employed as non-presuppositional apologetic tools. Since the gospel texts are historical accounts, the theological truths about Christ which they contain can be snuck in the back door of the historical discussion, as it were. Establishing Jesus as the risen Jewish Messiah also serves to establish the Old Testament as reliable, given its Christological prophecies and Jesus’ references to it as authoritative. (Jesus himself used a method quite like this on the Emmaus road in Luke 24.) An advantage to this evidential approach is that there is popular and accessible literature that utilizes it. The Case for Christ by Lee Strobel and Cold Case Christianity by J. Warner Wallace are two books to which skeptics can be referred. 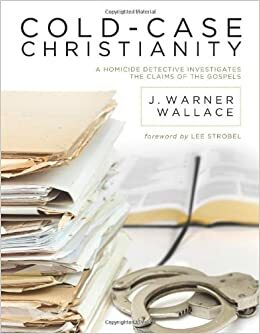 Both Strobel and Wallace are former nonbelievers who were won to Christ in the midst of their investigations into the person of Jesus and provide widely known testimonies about Christian conversions. Some skeptics are both hostile to scripture and to the possibility of supernatural occurrences. Such individuals are likely to be unswayed by an evidential argument that points to the bodily resurrection of Jesus. Their anti-supernatural bias will not accommodate such an explanation. Thus, their anti-supernatural bias itself must be challenged before specific evidence for the Christian faith can be presented. In such a case, the situation calls for classical apologetics. The arguments of classical apologetics provide strong challenges to atheism and deism. Ontological, teleological, moral, and cosmological arguments can all demonstrate that non-deistic theism is a more rational than alternative beliefs. In Romans 1, Paul, while not employing the names of the specific arguments listed above, makes it clear that the propositions and conclusions of such arguments are reasonable. Not only do these arguments tie in with scripture (special revelation), they can be supported by scientific findings (general revelation). The fine-tuning of the universe indicates that it was designed. The standard cosmological model indicates that the universe began to exist. These arguments also demonstrate the limits of scientific knowledge, which is often solely relied upon by skeptics. Science cannot determine what actions and values are moral. Nor can it prove or disprove the existence of immaterial persons (i.e. God and Angels). Logic favors the Christian. Once non-deistic theism is adopted as a rational belief system, anti-supernaturalism can be abandoned. Once anti-supernaturalism is abandoned, arguments about God’s actions in the world can be accepted. Once arguments about God’s actions in the world are accepted, scripture can be seriously considered. Unfortunately, there are still those skeptics would will refuse to acquiesce to the classical arguments of theism. These same individuals, however, may still be sympathetic to the views of those who are swayed by them. They may also be sympathetic an apologetic from reformed epistemology. The apologetic prescription given by Peter is to “make a defense.” There is always a great-commission obligation to make disciples and teach what the Lord Jesus commanded, however, the apologetic obligation is to simply make a defense. Therefore, a biblically faithful apologetic doesn’t necessitate that the skeptic or persecutor ends up believing exactly like the Christian apologist. The skeptic may only end up believing that the Christian is reasonable in holding to the hope that is within him. For a situation in which the skeptic may be completely reprobate and is hostile to all other apologetic methods, reformed epistemology is situationally appropriate. Using reformed epistemology, the believer can demonstrate that his belief is properly basic. While the apologist may not be able to show the skeptic that Christianity is true, he can reasonably justify that he knows Christianity to be true in his own heart. The skeptic, having been shown that the Christian is rational to hold to hope in gospel of Christ, has shakier intellectual ground from which to attack the belief of the Christian. No matter what apologetic method is called for, I think it is important to remember that human beings are created for relationships. We are firstly created to have a loving relationship with God and secondly created to have a loving relationship with other humans. This is where my softball analogy breaks down. Sport is all about winning the game. Apologetics, however, is not about winning the argument. People do not need to be beaten over the head with argumentation but rather pricked by the Holy Spirit. Christian apologetics is about winning the person. To do so, a relationship must be developed. When I develop relationships with non-believers, I know that, over time, I will be able to present every apologetic method to them. In doing so, my life, can become a kind of a cumulative case apologetic. Through living in the power of the Holy Spirit, I can demonstrate by my Christian walk that the Christian way of life is fruitful, livable, and consistent. Through interacting with people on a regular basis, I can remember to pray for them, by name, that they might be saved. To be a successful apologist once must present himself as a living sacrifice. A living sacrifice sanctifies Christ in his heart and is always ready to gracefully make a defense for the hope that is within him. Being a living sacrifice is situationally appropriate at all times for the Christian life. Being a living sacrifice will make one ready to use situationally appropriate apologetic methods. This grounds my preferred apologetic method. I took these specific names from the book, Five Views on Apologetics. This entry was posted in Uncategorized and tagged Apologetic Method, Apologetics, Christian Apologetics, Cold Case Christianity on February 25, 2015 by sethdunn88.